Travellers always over-pack. Three t-shirts, three shirts, three jumpers … all that repetition is a faff to carry round, it’s bad for the environment, and it all means waiting in baggage halls for hours on end. 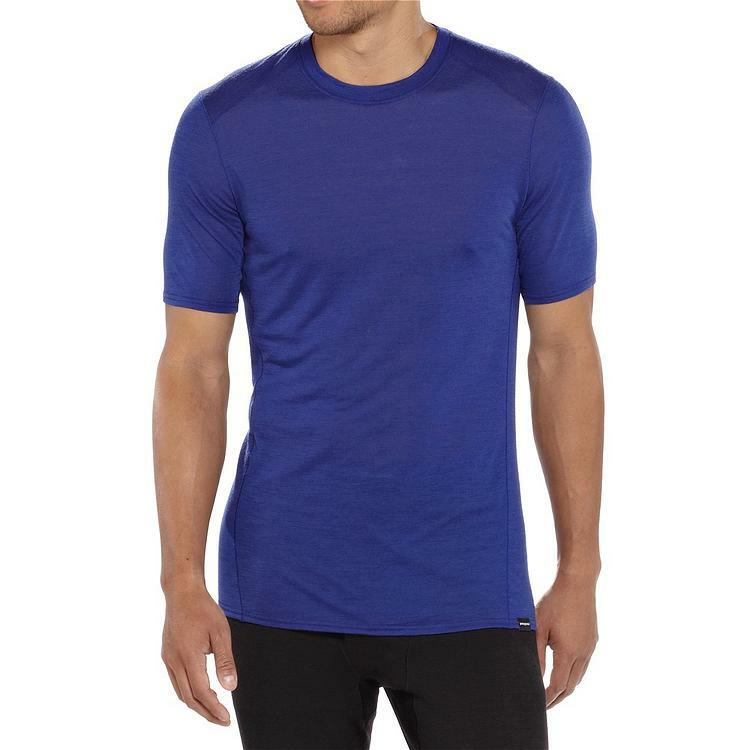 So why not start a capsule wardrobe with this merino wool/capilene fibre t-shirt that’s super-versatile, easy to wash and fantastically quick to dry? We wore the Patagonia Silkweight on a trip taking in Las Vegas and the Grand Canyon recently, veering from stuffy casinos and crowded bars to cool mornings hiking and freezing nights stargazing. In the first couple of scenarios it proved a smart, relatively cool t-shirt that successfully wicked-away sweat to keep us dry. As a base-layer under a jumper, it also did well, and later proved just as good at wicking away sweat when worn under a (rather over-doing it) huge down jacket and various other layers, scarves, buffs and hats. Scrunch-up the Patagonia Silkweight and it’s no bigger than an apple, and weighs almost nothing. Better still, it’s virtually crease-free when unfurled. It doesn’t smell much even after a being worn for a few days (we even used it in the gym and still it didn’t pong), but when it is time for a freshen-up, the Patagonia Silkweight is easy to wash. We used a bit of shampoo and rinsed it off before bed; by the time we woke-up next day, it was dry and ready to wear again! That’s a great result for travellers, though it will depend on the ambient temperature in your hotel room/abode. Best take two? OK, so the Silkweight is expensive, but we don’t mind that since it essentially does the job of three cotton t-shirts. It’s also fabulously effective in various climates; we never got cold or hot while wearing it in various different climates. Easy to wash and quick to dry, the Silkweight is a great all-rounder for the savvy backpacker who wants to carry as little luggage as possible.